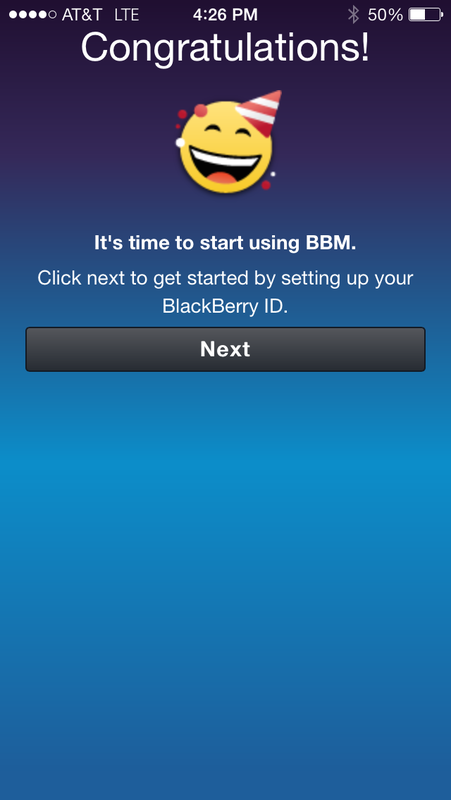 Is This BBM On Android? We all know that Apple is bringing their own version of BBM to the iPhone next week with iOS 5 and iMessage, but from the looks of this, RIM (the makers of BlackBerry) is about to make a big move of their own: bringing an official BBM app to Android. That’s right: real, official BBM— on Android. If you remember, we heard a rumor about this earlier this year (along with rumors of an official BBM app for iPhone) but these are the first pics we’ve seen of what BBM would look like on something other than a BlackBerry. And while these pics may very well be fake and Photoshopped (there have been a lot of fakes floating around online over the last couple of days), they look pretty real to us and make sense with everything else we’ve previously heard about RIM working on bringing BBM to Android (and the fact that it’s on a phone that actually looks like a RIM Android test phone– with its sticker Android buttons and BB_Dev folder on the homescreen– makes us further believe that this really could be legit). Obviously details like exact features (rumors are this may be a “BBM-lite” with the full BBM experience being available only on real BlackBerrys) or when we can expect the app to be officially announced are still not known, though TechnoBuffalo— the site that leaked the pics– says it could be announced as soon as October 18th-20th at BlackBerry’s DevCon conference. We’ll of course let you know more as we hear it, but assuming this is true– and BBM officially comes to Android– would you ditch your BlackBerry and go with a new ‘Droid instead (or better yet– would this make you want to get an Android over the iPhone for your next phone?)? Let us know in the comments. 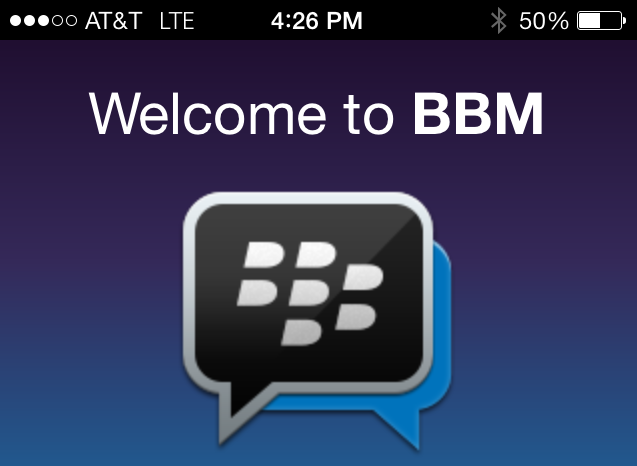 MAJOR RUMOR: BBM Coming to Android and iPhone This Year? Could this be true? BBM on an iPhone? File this one under the most awesome and incredible rumor we’ve ever heard. According to BGR, who is pretty much dead-on when it comes to BlackBerry news (they were the ones who first leaked the Storm three years ago and more recently BlackBerry’s upcoming 2011 lineup), both Android and the iPhone (and it’s iOS) may soon get one of the greatest BlackBerry features on their devices– official BlackBerry Messenger. Yes, BBM is said to be on its way for Android and iPhone. BGR’s sources didn’t reveal an exact date for when all this would go down, though according to the leak it did appear that at least the Android version would be at least announced this year (our guess would be at BlackBerry’s big BlackBerry World conference in May, but again that’s just our guess) with iPhone/iOS support after that. The BGR leak also goes on to mention how this would be more of a “BBM-lite” and while you would be able to BBM with anyone on a BlackBerry, the Android and iPhone versions might be lacking certain features like sending pics, and videos. 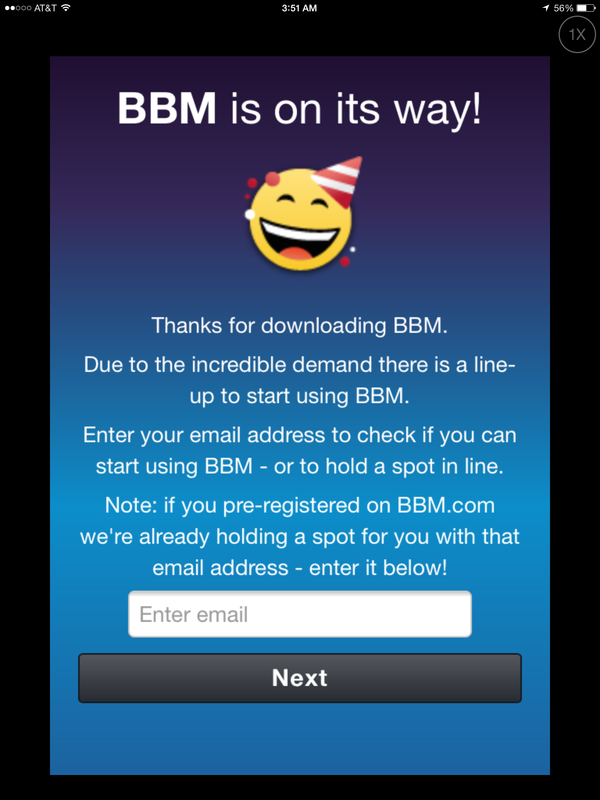 For that full BBM experience you’d need to get an actual BlackBerry. A lot of you are probably thinking right about now “the only reason I’d get a BlackBerry is for BBM, why would I go with it now if I can just get it on iPhone and Android?” Well, as we said above and as BGR alludes to in his post, this would be a great way for BlackBerry to begin to pull people back away from the ever-growing iPhone and Android platforms by teasing them with the BBM and BlackBerry experience, with the only way to get that full experience being switching to a BlackBerry (and if there’s an additional fee to use BBM on iPhone/Android then people who love the service may be even more eager to switch over and get full BBM and save money). Seeing as one of the most frequent questions we get here at TeensTalkTech is about BBM and BlackBerry here’s the million dollar question– how important is BBM to you and are you willing to still go with that “BBM-lite” (again, text only no pic or video sharing) on an iPhone/Android phone or would you still go with the traditional BlackBerry and BBM when you go for your next new phone? Sound off in the comments.